2 days to Yukirin’s Solo debut! While traveling , I listened to Shortcake immediately. Even the couplings are good songs. They’re good right? Jealous right? 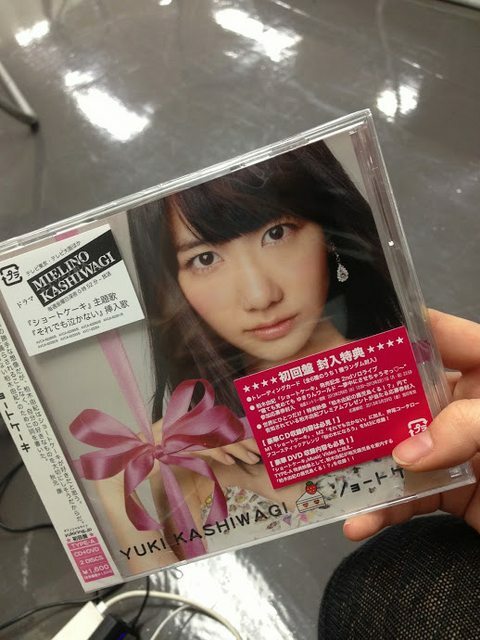 At MJ, thanks to Ishihara-san, I was able to watch from the audience Yukirin’s solo stage performance. Lucky ducky! I can’t wait to get my copy! I received shipping noticed from Tower Records!